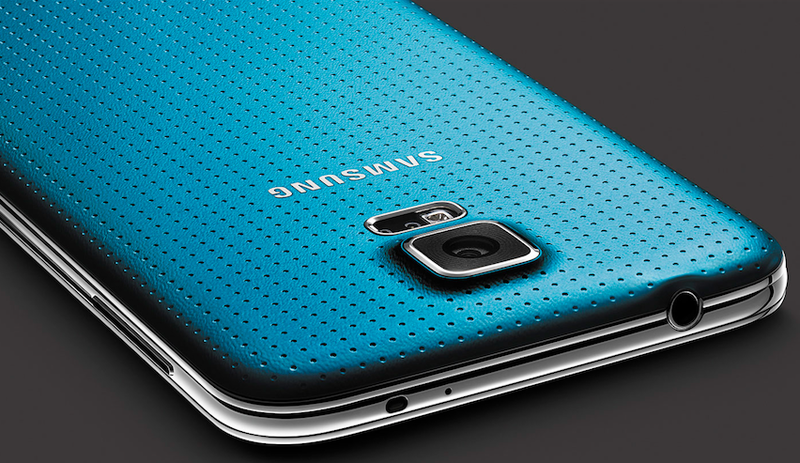 Samsung unleashed the Galaxy S5 today and it’ll be landing on Canadian soil this coming April. The anticipated device, as expected, has a similar design to the previous Galaxy S4 and SIII, but this new version has a “refined experience” and is packed with improved specs and features. The LTE-enabled GS5 runs Android OS 4.4.2 KitKat, 5.1 inch Super AMOLED FullHD display (1920×1080, 432ppi), 2.5 Ghz quad-core processor, 2 GB of RAM, 16 and 32GB of storage, 2800 mAh battery and will come with IP67 rating that makes it Waterproof and dust resistant. The GS5 is “modern and refreshing” and will come in Black, White, Blue, Gold and also sports a fingerprint scanner for added security. Samsung’s official press release notes that the GS5 will be available in April, but according to Samsung Canada, we can expect this to arrive sometime “later this year” on Bell, Eastlink, Fido, Koodo, MTS, Rogers, SaskTel, TELUS, Videotron, Virgin Mobile and WIND Mobile. No indication of pricing or colours. Update: Samsung has stated that this will hit nearly 150 countries on April 11th, but still no word on the price points, nor if Canada is included in that release date. Update #2: Virgin Mobile has gone live with pre-registrations and confirm that the Galaxy S5 will be available in April. TELUS has also started pre-registrations on their site. Bell has also gone live with pre-reg and states it’s coming April. Videotron has now gone live with their pre-registration page here. Update 3: We’ve confirmed that those who order through Rogers Reservation System will be able to select from either black or white colours. Fido has also joined the masses and updated their site for new and existing customers to reserve online.